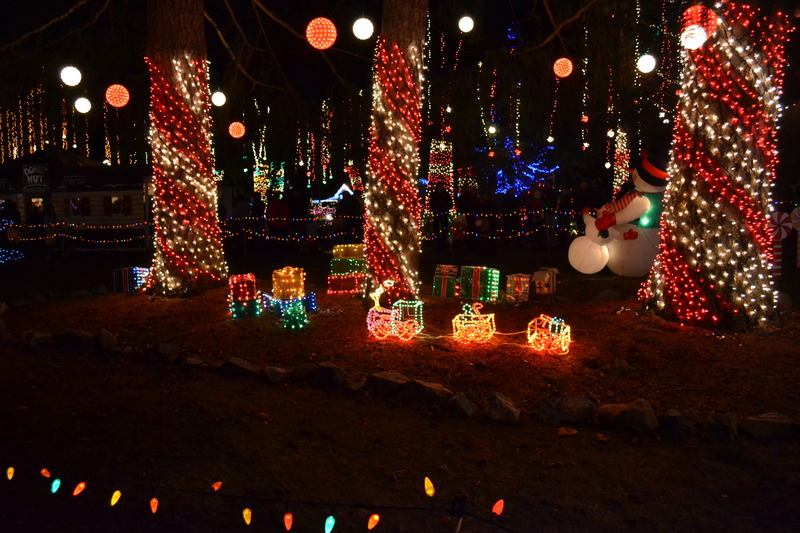 Home » General » Lights of Christmas Tickets Giveaway! The refrigerator is full with Thanksgiving leftovers and as I type, my husband and son are wrapping white lights around the tree. The smell of fresh pine fills the air and boxes of Christmas decorations sit next to me, waiting to be used all over our home. But before I finish decking the halls, I have something important to do! How about some Lights of Christmas tickets?! 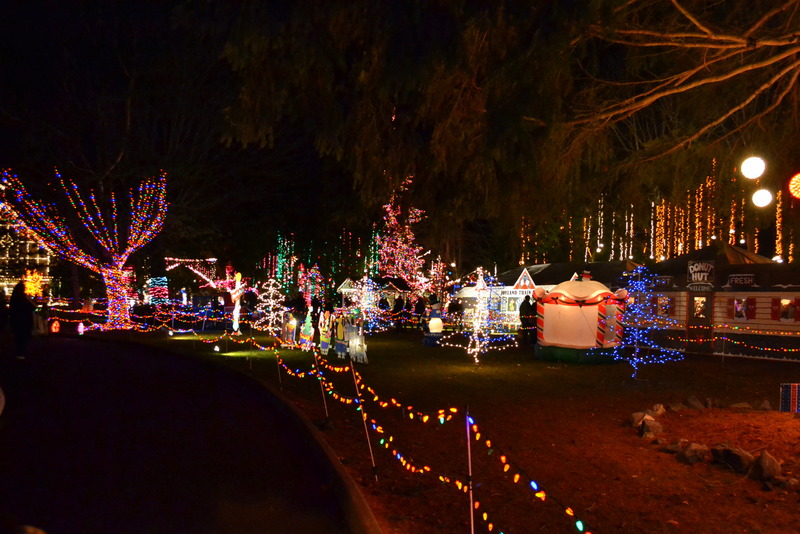 With over one million lights, dazzling displays, fresh hot donuts, sounds of carolers, and so much more …. 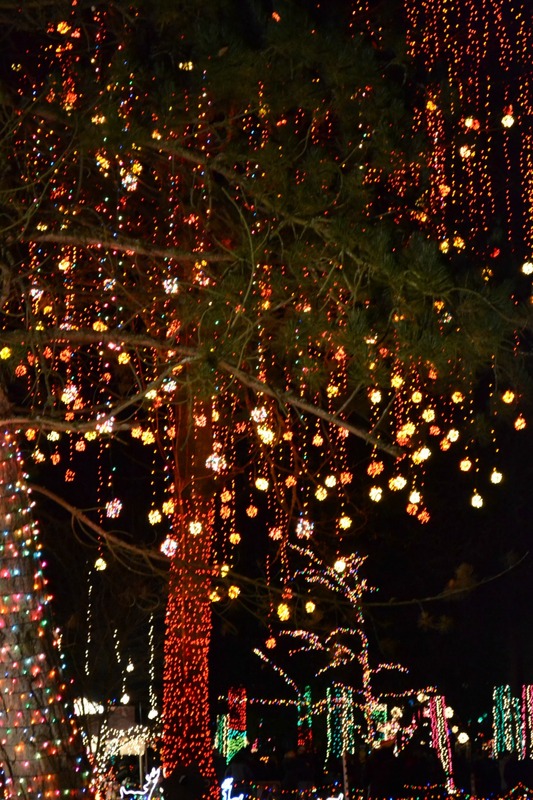 The Lights of Christmas is one of our ALL TIME FAVORITE holiday traditions. It’s only 1 hour north of Seattle and NOTHING in this area compares to this event. Truly, it’s the best around. Get donuts. You’ll want a bag for yourself, I promise. Visit Bruce the Spruce- The Talking Christmas Tree. Don’t worry, our kids were super awkward with this and “he” handled it great. Ride the train. A must do! Sit and watch a local performance. Whether it’s a choir, a band or a dance performance, these are always wonderful. Go find the tunnel of lights and bravely ask someone to take your family photo. Stand next to the fire, while listening to the Victorian Carolers. Go pet the animals in the petting zoo and talk with the farmers, too! Have your little ones go on a complimentary horse ride. Why hurry home when you can spend the night? Take your time, stroll the grounds, watch every performance, sample food, ride the train twice! You can enjoy all of The Lights of Christmas then spend the night in comfortable lodging. The next morning you will enjoy a hot breakfast before heading home or doing more Christmas shopping. They’ll even provide you a special gift basket with treats for your trek. Looking for a great date night? Take a brief walk around the enchanting lighted grounds and then settle in for a fabulous 5-course meal and live theater featuring “Christmas on the Tumblin’ D” by Victoria Ritchey. So, how about we kick off the season right with a family pack of tickets to the Lights of Christmas? If you’ve been, I know you can’t wait to go back and if you haven’t…..well, that needs to change ASAP. A BIG thank you to the awesome folks at Warm Beach Lights of Christmas for partnering with us on this giveaway. It’s such a joy to work with local companies we truly love! We haven’t ever been to this but I’m hoping this is the year we squeeze it in. Thanks for the great tips! Oh the donuts can’t be beat! But my very favorite is that they have the best Santa in the whole world! 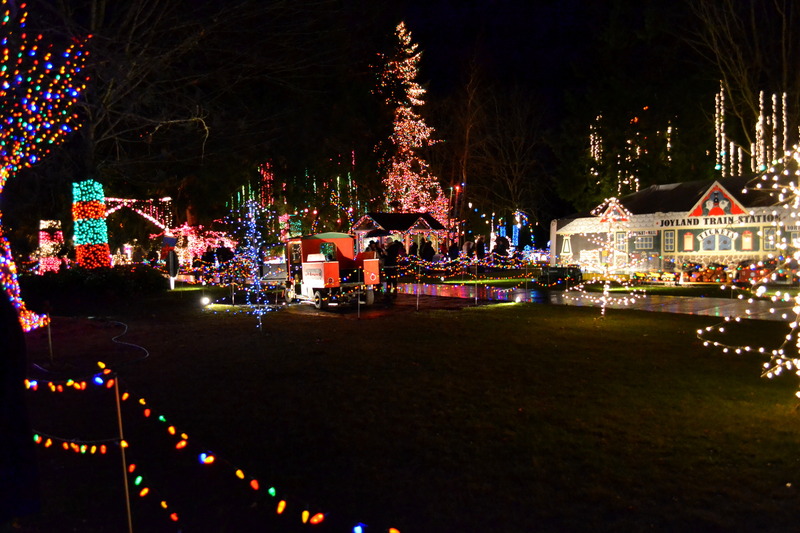 I grew up in WA and have never been to the lights of Christmas, now that I have a child it’s on my list to do this year! Thanks for the awesome post! I love the Lights of Christmas! My family would love to win tickets to the lights of Christmas. It is where my husband and I got engaged and we go every year. Oh! So sweet! What a great story. We’ve never been but would love to experience it some day! Looks beautiful. Love me some fresh donuts! I can’t wait to check this place out this year! I’ve lived here for 10 years and have never been! It’s been so long since we’ve been! Now that our kids are a little older, we sure want to try again this year! I hope I win, I hope I win!! Thanks for doing this! What great ideas. I’ve volunteered at Warm Beach Camp but never made the Lights! I have never been but I’m so excited to take my daughter there for the first time this year ! 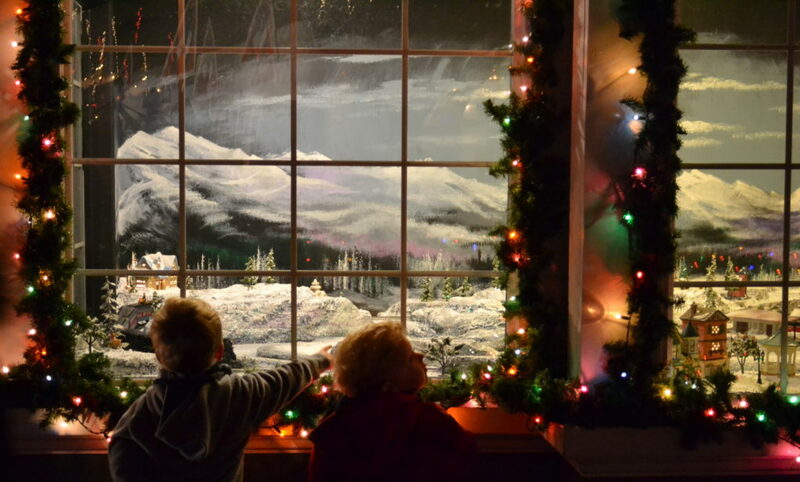 We’ve been to the lights of Christmas in past years and have always enjoyed the train and strolling through with special treat admiring all the different scenes! I’ve never been! Lived within 45 minutes of it my whole life…hope this year is the year! Our family loves lights. Over the years our stages of life have changed but we can always find great entertainment and moments of awe and reflection. We love walking around with our donuts, seeing the lights and saying hi to Bruce. This is about 5 minutes from my house and we did family overnights here for years with about 25 people. It’s a blast! Honestly, I’ve never really cared one way or the other about going to Lights of Christmas until I read your post. Now I really want to go! This is our first winter in the PNW and I love having ideas of fun adventures to go on with my family. This looks perfect!!!! I’d love to win tickets. 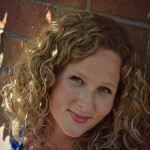 My husband comes home for R&R just in time for Christmas and I’d love to take him and the kids all together. The lights of Christmas is definitely on our list this year! Super exciting!! We’ve lived in the PNW for 7 years now, and I just need an excuse to take everyone to see The Lights!!!!!! Yay!! Thanks for doing this Angela! And I agree, one of my favorite Christmas traditions every year! We love Bruce the Spruce! So much fun! We’ve never been there but it sounds amazing! With less and less family around it’d be a great pick me up for our family! Have never even heard of this place! Excited to check it out. Thanks for the great tips! Have never been but have heard about it, would love to go. We have never been to the Lights of Christmas, although we talk about it each year. We love The Lights of Christmas! Such a fun and festive time, and the light displays are spectacular! My favorite part of The Lights of Christmas is for sure the donuts! I’ve been only once. I loved the lights and donuts both! Thank you so much for setting this up!! Fingers crossed!!! My husband and I would LOVE to take our 3yr old!